Sony Xperia XZ Premium is world’s first 4K HDR phone | What Hi-Fi? The Xperia XZ Premium is Sony’s 2017 flagship, and one of four new smartphones announced at Mobile World Congress. 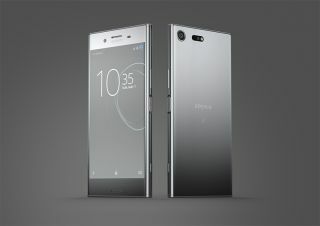 In recent years, Sony hasn’t been one to hold back on releasing several smartphones a year, so it’s perhaps no surprise that MWC 2017 sees the launch of four new Sony handsets, headed by the flagship Xperia XZ Premium, which Sony is hailing ‘its most groundbreaking smartphone to date’. Last year, the Sony Xperia Z5 Premium became the world’s first smartphone to feature a 4K screen, and now with the XZ Premium successor the brand has also beaten the competition to the world’s first smartphone with a 4K and HDR (High Dynamic Range) display. LG has come close, being the first brand to announce a smartphone with Dolby Vision HDR, but it has a slightly-lower-than-4K resolution of 2880 x 1440. Sony claims the XZ Premium’s 5.5in is enriched by its native Triluminos Display for mobile, X-Reality for mobile and Dynamic Contrast Enhancer technologies. While we deemed the Z5 Premium’s 4K screen a bit of a "damp squib" due to the lack of 4K content available, the good news is that owners of the XZ Premium will be able to make the most of the screen technology thanks to the 4K HDR mobile content available on Amazon Prime Video, such as Red Oaks and Mozart in the Jungle. The XZ Premium is powered by the Qualcomm Snapdragon 835 processor for ‘superior performance’ and enhanced battery efficiency. Using its know-how in the digital camera industry, Sony has created the new Motion Eye camera, which supposedly provides 5x faster data transfer; 960fps recording (in 720p) for video playback; and a Predictive Capture tool that automatically starts buffering images when it detects motion even before you've pressed the camera button. The new 19-megapixel camera features a redesigned G lens, improved mobile processing engine, and has larger pixels designed to capture more light, detail and sharpness. The XZ Premium (pictured above) looks to continue Sony’s reputation of producing good-looking smartphones too, with its glass front, mirror-effect back panel and Corning Gorilla Glass 5 reinforcement. It is also water resistant (only to Ingress Protection rating IP65/68, so no dunking) and dust-proof, and like many handsets on the market also features a fingerprint sensor power button. It’s no surprise that on the audio side of things, the XZ Premium supports hi-res playback, as well as native DSEE HX technology for upscaling lower-res files. The XZ Premium comes in Luminous Chrome or Deepsea Black finishes, and is available in spring 2017, with prices yet to be revealed. Next in the Sony 2017 smartphone line-up is the Xperia XZs, which comprises many of the flagship’s features such as the Motion Eye camera, fingerprint sensor and water-resistant shell, but instead features a 5.2in Full HD display and a metal back exterior. The XZs will be available in April in Ice Blue, Warm Silver and Black finishes. Underneath the XZ Premium and XZs flagships are two new mid-range X series models: the Xperia XA1 and a larger version, the suitably-named Xperia XA1 Ultra. Both see the return of the ‘borderless’ design introduced in last year’s Sony smartphones, use MediaTek Helio P20 octa-core processors, and feature battery efficiency features such as Stamina Mode and Qnovo Adaptive Charging. The latter is designed to adjust charging current to avoid damage and maximize lifespan. The XA1 and XA1 Ultra both feature 23-megapixel rear cameras with an F2.0 lens and 0.6-second image capture, but while the XA1 has an 8mp wide-angle front camera, the XA1 Ultra’s front lens is 16mp with Optical Image Stabilizer. The main disparity between the two, however, is the screen; the XA1 has a 5in 720p screen, while the XA1 Ultra’s 6in display is 1080p. The Xperia XA1 and Xperia XA1 Ultra will roll out from Spring with Android Nougat, and come in a choice of white, black, pink and gold finishes.